The first session of “New Texts, New Stage” in April 2013 aimed to help the writers exploring a wide range of possible developments for their manuscripts. 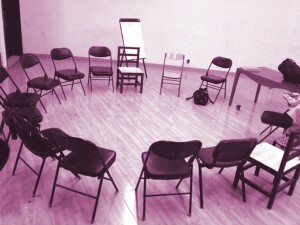 After the first session, the writers were given three months to develop their texts autonomously. The second session held in November was designed to support the writers in refining their texts and give it a final form. Unlike the previous session, characterised by an open framework, a consistent daily workload and a fast-paced rhythm, this time the playwrights spent more time discussing and analysing the scripts, both in sessions with fellow writers and individual sessions with the dramaturges only. 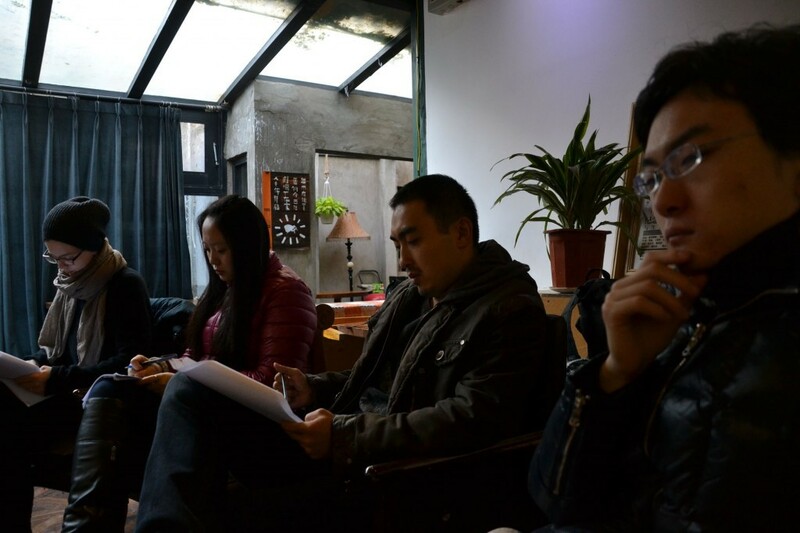 During the first plenary session the playwrights updated the whole group on the work done during the past six months. The playwrights explained the problems faced during the creative process and shared with the group their aims and expectations for this session. 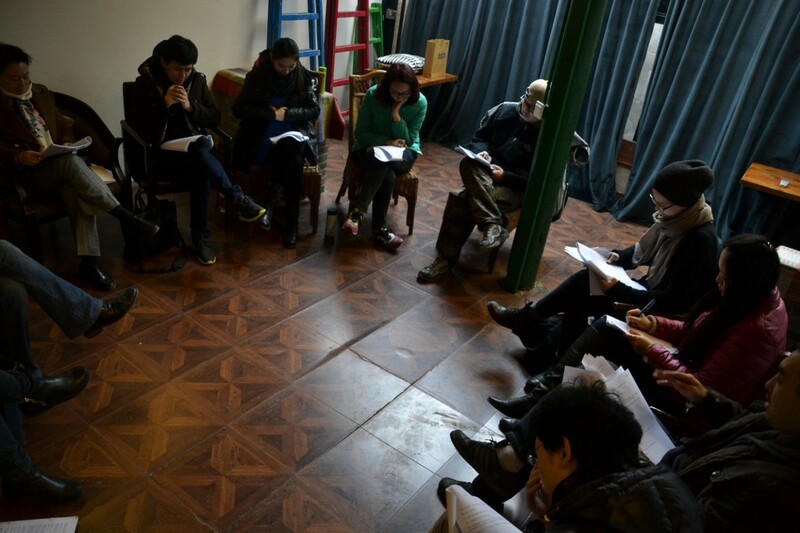 The morning sessions were attended by all the participants (actors, playwrights, dramaturges) and mainly dedicated to the group of 6 actors who read aloud and gave feedback on the texts, one text each day (Day 1 – text 1, Day 2 – text 2, Day 3 – text 3). In selecting the actors we paid special attention to balance continuity and renewal: the group consisted of both actors who had already taken part to the first session as well as new ones. This way, actors who participated to the first phase of development had a better understanding on the ongoing creative process, and could provide a more comprehensive feedback, while new actors contributed with fresh ideas and an original insight on the scripts. 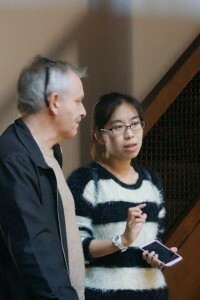 The afternoon sessions, attended by the writers and the dramaturges only, were dedicated to a more thorough and analytical discussion of the scripts. The dramaturges made their remarks on different aspects of the text (overall formal structure, cohesion of plot-line, characters development, etc) and discussed the scripts’ current form as well as their possible development. At the end of the session, each playwright was given an exercise aimed at redressing the problematic aspects of the texts, be it from a formal, logical or stylistic standpoint. During day 4 and 5 each of the three playwrights had an individual session with the two dramaturges where they could discuss the overall creative process from the text’s original form onwards, as well as planning the future development of the script until its final version (to be submitted by February 2014). 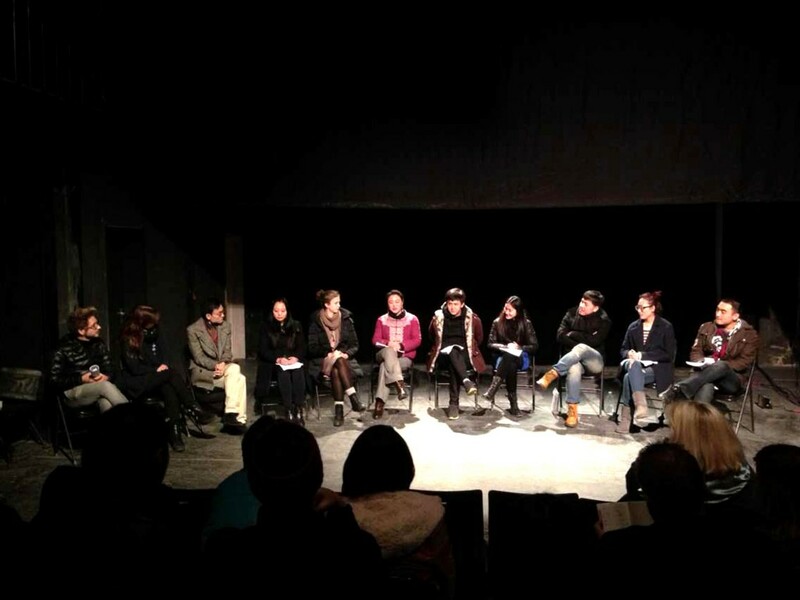 Finally, during day 5 the playwrights together with the dramaturges decided a selection of exceprts from the three texts to be showcased in a public reading held at Penghao Theatre on day 6. By February 2014, the four writers will hand in the final version of their script. Ibsen International will evaluate the scripts and select the ones which will take part to the second phase of the project: a workshop on directing. 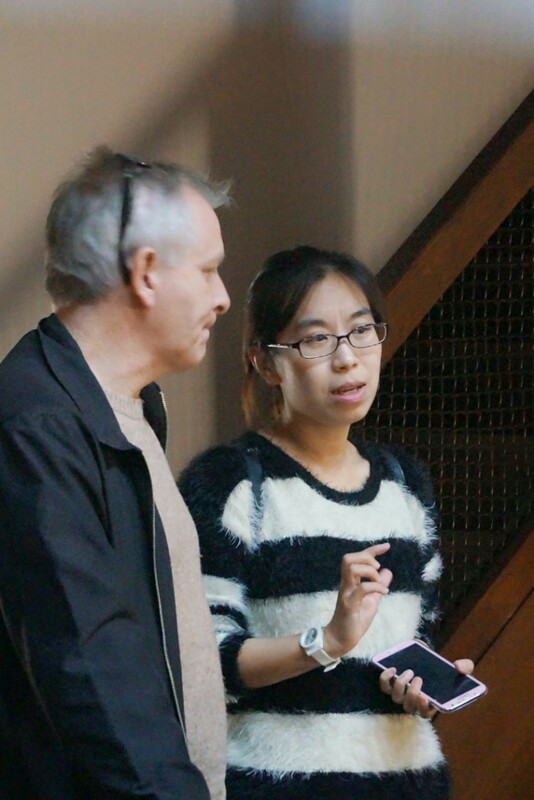 The texts will be assigned to promising directors from China and Norway whom, under the guidance of international experts, will experiment with the mise-en-scene of the plays. The final objective of the project is the production of full-scale performances to be staged in 2015. 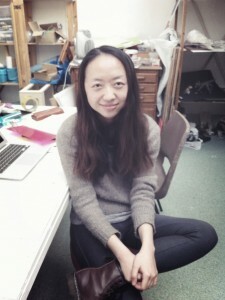 I have enjoyed working with Oda’s and Demian’s texts which are poetic, fresh, and beautiful. I also love the different texture of their language. I have learned to be more aware of the nuances in each line and to be careful when transferring them from the source text to the target language. Also, thanks to the collaborative fashion we carried out the translation, I have seen how an artistic work felt into pieces bit by bit as well as all the possibilities emerged during the devising process. When I worked on the texts，the deepest impression I had on the text is the rhythm the author tackles and grasps. It was not me who “change” the language from English to Chinese, but the two different languages overlapping and working on their own. Through the overlapping dialogues among the characters, the huge image of a story is rich and solid, opening in front of me like a real stage work. After translating the text, I would like to watch the real stage work with my eyes someday.